The two advisory groups supporting Mountain Leader Training in developing a coaching system met earlier this week. The climbing coaching system is being developed by Mountain Leader Training (MLT) under the direction of their Technical Officer Steve Long. The two advisory groups supporting Steve in his work are the Coaching Management Group and the Coaching Technical Group. The Management Group is made up of MLT Board members, and comprises John Cousins (MLT Executive Officer), Steve Long (MLT Technical Officer), Nick Colton (BMC Deputy CEO), Mike Pinder (BMC MLT Board Member) and Rosie Goolden (MCofS MLT Board Member). This group is concerned with the strategic and practical delivery of a sustainable and self-funding infrastructure for coaching qualifications. The Technical Group comprises Steve Long, Jon Garside (BMC/MLTE Training Officer), Ian Dunn, (British Team Manager), Neil Gresham (Climbing Coach), Graeme Morrison (Chair, Mountain Leader Training Scotland), Angela Carlin (Mountaineering Ireland Coaching Development and Talent ID Officer), Dave Binney (Sport Scientist) and Martin Chester (Plas y Brenin Director of Training). Being comprised of coaches and coach trainers, this group's job is to design scheme syllabi & course materials and the methodology for training, assessment, accrediting prior learning and continued coach development. A lot of research and development has taken place over the last 5 years. A National Source Group was established in late 2006 to investigate the possibilities of a coaching scheme, with their report published in autumn 2008. Subsequently, the BMC sourced funding from Sport England for 2009 - 2013 to develop a coaching system. Other sports and outside agencies such as Sports Coach UK have been consulted, and Steve Long attended the recent round of National Indoor Climbing Achievement Scheme workshops to gauge the needs of climbing walls. 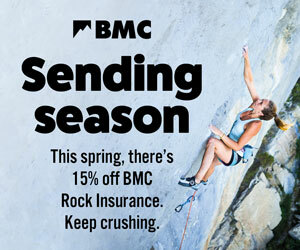 The BMC Coaching Symposium demonstrated the very strong grass roots support for a coaching system; the FUNdamentals of Climbing Workshops have played a part in identifying one aspect of coach education in demand; and Plas y Brenin has been delivereing a Coaching Processes for Climbers workshop for a number of years. A central theme of that training is that coaches don't coach sport, as it were, they coach people. Developing coaching behaviours will be an important theme of MLT's coaching system. However, a wholly new set of national coaching awards cannot be developed without consulting widely and taking into account the views of the many different stakeholders, all of which takes time. The sometimes differing views of the three Mountaineering Councils can lead to a pause in progress whilst issues are explored, for example. At their recent meetings, the Management and Technical groups discussed progress to date, and reviewed MLT's strategic plan. The short term goal is finalising syllabi for assistant coach and coach qualifications by mid-September. Steve Long presented the first drafts of these syllabi to the Technical Group who thought them a very good first draft. MLT are working to a tight deadline. Alongside finalising syllabi, their immediate task is reviewing the coaching system operational plan covering the period from now to March 2013.